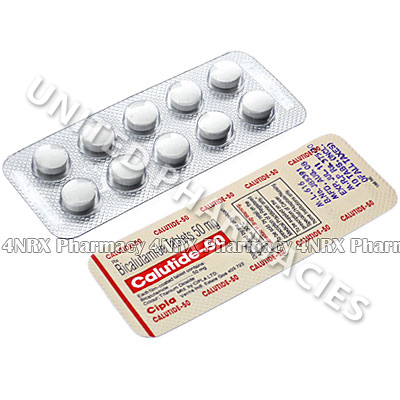 Calutide (Bicalutamide) is an anti-cancer medication. It is prescribed by doctors as a treatment for prostate cancer which has spread to other parts of the patient's body (this type of cancer is commonly known as metastatic prostate cancer). 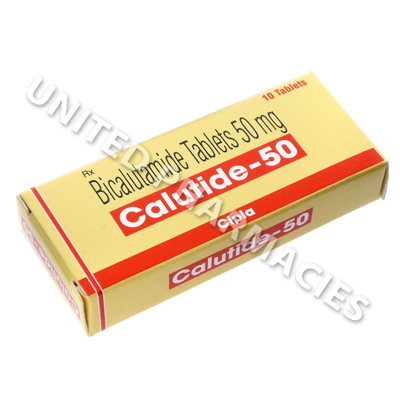 Calutide (Bicalutamide) is an anti cancer medication. It is prescribed by doctors as a treatment for prostate cancer which has spread to other parts of the patient's body (this type of cancer is commonly known as metastatic prostate cancer). This drug is in a class of medications called nonsteroidal antiandrogens. It works on the body by inhibiting the action of male hormones known as androgens, which in turn helps prevent cancer cells from spreading and growing. Calutide (Bicalutamide) comes in the form of a tablet, which you must swallow whole. However, all patients must consult their doctor prior to commencing treatment, so that the correct and proper dosage required to treat their condition can be prescribed. Your doctor may tell you to take it once per day, in the morning or evening. You should try to take it at the same time each day. Continuous treatment is necessary in order for this drug to effectively treat cancer. Tell your doctor if any side effects become bothersome. This drug may also cause other more serious side effects. You must consult your doctor immediately if you notice severe fatigue, chest pain, inflammation of the limbs, blood in your urine, fever or any other side effects not listed here. If you suffer from or have a history of suffering from diabetes, liver disease or breathing conditions, you must tell your doctor before taking this medication. This drug is only prescribed for treating men. Pregnant women or women who may become pregnant should never handle these tablets, as there is a slight risk of it being absorbed through the skin. Always use Calutide (Bicalutamide) as you have been prescribed by your doctor. Never self-medicate or change your dosage without first consulting your doctor. The correct dosage can vary depending on your health, medical history, and the severity of the condition being treated.